The fences for gardens can become a big headache when they are chosen without criteria and only for aesthetics. As we have had (and many times) to deal with many problematic fences. Due to the bad decisions that people made at the time when buying them. For that reason; we wanted to take this initiative and tell you in-depth detail everything you need to know when buying a fence for your garden. And not only that. We also bring you our very specific suggestions. Walk behind mower is one of the best tools for your garden. So, if you’re going to buy fences for your garden. The first thing you should do is read this article until the end. 2.1.1 Price ranges, why is there so much difference? 2.2.2 Do not use concrete or concrete! 2.2.3 If you want acoustic insulation, use Brezal! Before entering fully into the reasons why you should choose one over others; Let’s analyze first what kind of fences for gardens you can get in the market. And it is that the best way to start with a good foot; is to know in depth the differences between each model that we can choose. In advance we warn you. Some are superior to others, but that superiority is also reflected in its price. And as you already know (and if you did not know, now you do); not always the most expensive is the best. Neither the most expensive fence is always the one you need. But first, let’s see what the market offers us. Whether aluminum, wrought iron, and stainless steel. It can be said that they are the most robust in the market. Designed to offer a high degree of privacy; They are characterized by being composed of several panels that require some additional expertise to be armed. The variety of shapes and colors is very extensive. 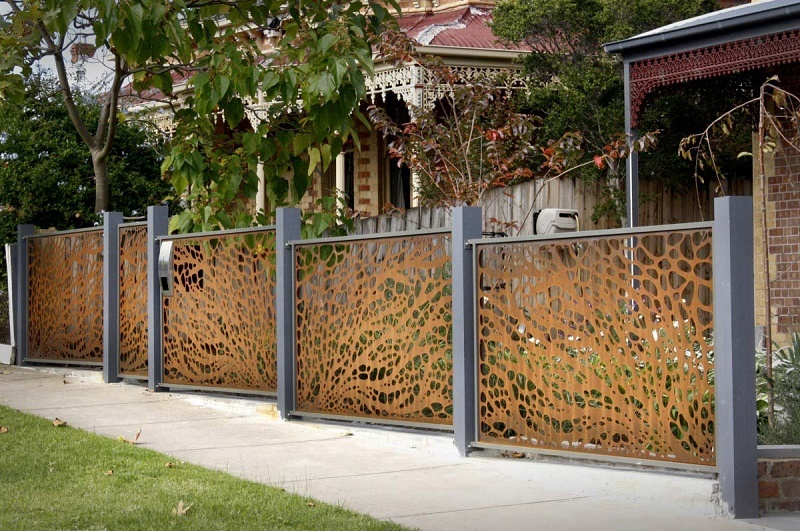 Many creative designs can only be achieved with wrought iron metal fences. Likewise, more geometric structures that point to very specific decorating concepts; beyond the rustic or the minimalist, they can also be achieved only with this type of fences. A great disadvantage that they usually present is; the lack of height in their designs. Maybe in your case, it’s not a problem. 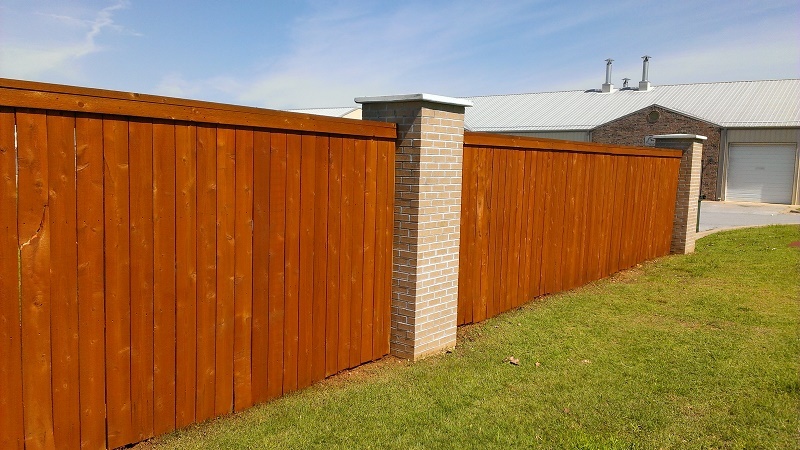 Especially when you have a brick or cement wall; These types of fences are great for adding height and aesthetics. But if you need to isolate a space that does not already have this type of construction; it is there where negative factors begin to emerge. The most common in the current market. Made with blends of polymers ideal for the weather; they offer a balance often ideal between the robust and the economic. Of course, its most notable feature is the resistance of the material over time. And, although the plastic itself is very resistant. The one implemented in the fences for gardens is even more so, because of the technologies with which they manufacture it. The greatest variety of colors regarding fences can be achieved in the area where plastic exhibits. They also imitate other materials, especially wood. The simple installation of the same is a plus that we can not ignore. Being able to install our fence means a significant reduction in expenses. However, its main weakness is its hardness. Although the plastic itself is resistant to decomposition; the constant blows quickly ruin this type of fences. Hence, they are not recommended when there is a lot of activity in our garden. Whether you have a pet that loves to play or small children; Maybe the plastic fence does not last as long as you thought. From technology to the classic. The wooden fences are the base of this industry. From simple trunks tied to each other every certain distance with wires; until structures that can be considered a work of art of carpentry. If we are located in the garden of our house, it is logical to think that the fences to be installed are made of wood. And this is something that you must not forget; When the fence will be used only for plants, the best option to take can be wood. Hence, in the field of landscaping; it is best not to try to complicate the simplest things. The wood, of course; it is a very versatile material in this type of work. All this because it is the material that has more time in the market. We have had a lot of time to improve techniques, both technological and craft; when creating wooden fences. Its weakest point remains the material. The durability of the wood that has been cut and treated; it can never be compared to that of a tree that still has its roots in the earth. Many products protect the wood. Also, its resistance to the activity of pets and children. In most cases, it is usually superior to plastic. In any case; These are the main materials that you will find in the market when looking for fences. Now that you know them to let’s analyze what you should base yourself on when buying. 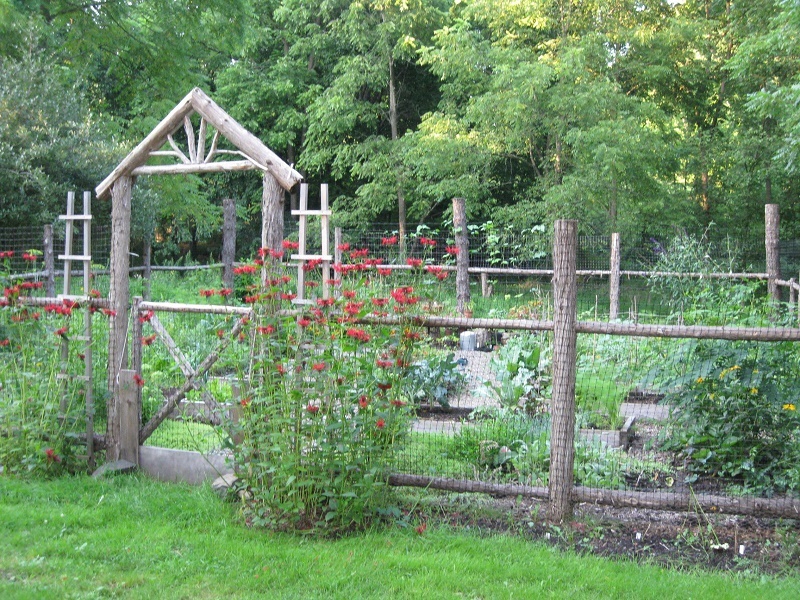 What criteria should we follow when choosing a fence for our garden? 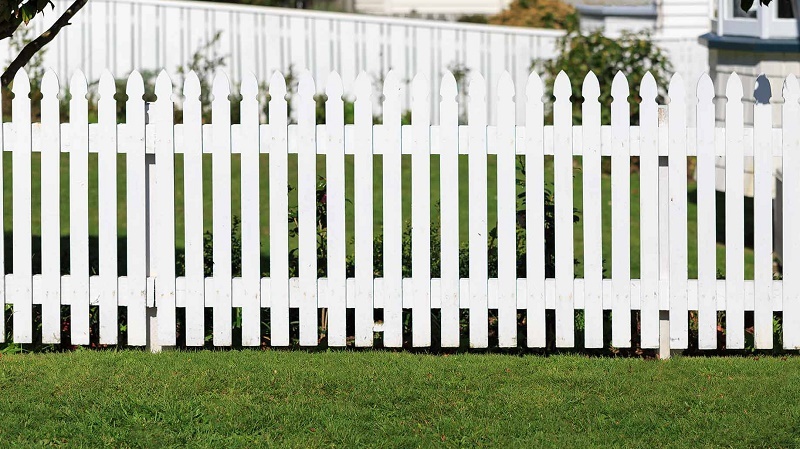 What should you look for before you even buy a fence? That is the question we want to answer. And, even before entering the store in search of the fence of our dreams for our garden. We can discard several options in advance by making a preliminary analysis of the space where we plan to place it. So, if you have not studied these details yet, we will help you to take the pertinent notes. Ask yourself this question, how often do you think a fence should be changed? An element of this type, regardless of its height; It is not something that should regularly require attention from us. You must visualize a fence. In the same way, you visualize a wall. Its function is to delimit the spaces and, with a little effort; it can become an important aesthetic aggregate in landscaping. But beyond that, it should not require you to add a new responsibility to your agenda. Much less should it mean an additional expense for the gardener or for another person who will charge for their services? Why do you put the fence? Although you do not believe it, the objectives by which you put the fences; It can mean a lot when making the right decision. If you want to extend a line across the fence to achieve a stronger effect, then you should not aim precisely at the wooden structures. On the other hand, if your dream is to have a labyrinth; Again, one material may be more useful than another, everything will depend on the height you want that maze to have. When what is sought is to establish planters and space for compost; then we come across plastic or wood, but not iron. Define what you want and what you hope to achieve in the long term with your fence. So, you can search in the most successful places and check the options that will work for you. It may be the most important of all the criteria to have. A terrain with slope will require additional efforts. At the level of aesthetics, iron may not be the best option when you have a terrain with steep slopes. On the other hand, if the surface is earth; then the necessary stakes and the technique to the fence, will not demand specific tools. Otherwise, if it is a concrete or brick surface. Price ranges, why is there so much difference? When we look at the billboard market, we notice that certain prices simply get out of the range of others. Especially when it comes to those that have been manufactured in metal. Why does this happen? The main reason is for the cost of the materials. Being that the plastic ones are the most economical without any discussion; The real difference exists in wooden ones. You see, when someone searches for iron fences; mainly he does it to place them in the most exterior part of his house on a wall already built; generally of stone. This causes that, in general lines; The metal fences are not built with a very significant height. But, above all, they are not built to be placed inside the garden itself. When you want the iron to be an integral part of your garden, you do get designs; but its high price is due to its low manufacturing volume. On the other hand. When you want them higher than normal, you must pay an additional fee. But yes, you can extend the purse model of your dreams to fit your vision. On the other hand, we have wood. A natural resource that every day is more scarce. It also becomes more complicated to import because of this. And if you add to that the labor that must be applied to it so that it lasts; then we have a higher price as a result. If you are looking for economy, then the best option you can take are those that were manufactured with the least problematic material. We already talked about what you should do when you are looking for economy. If you buy the most economic fence; in the end, it can mean a greater expense, if this did not cover your true needs from the beginning. Defining your priorities will make the expense you make a one-time expense. Remember, the fences must be seen as we see the walls. 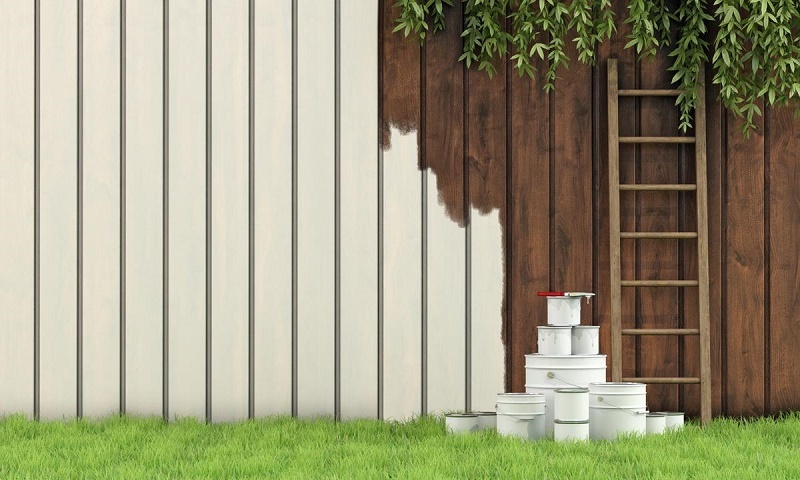 Annual maintenance of paint should be more than enough; unless we face some exceptional difficulty, such as a leak. In the case of fences for the garden, the same thing happens. There is the extraordinary possibility that an external agent requires us to perform some maintenance or repair. But in general lines. If you choose the correct fence; You can practically forget about it and maintain it every 12 months. So, let’s think about the three main needs that usually require an element of this type. 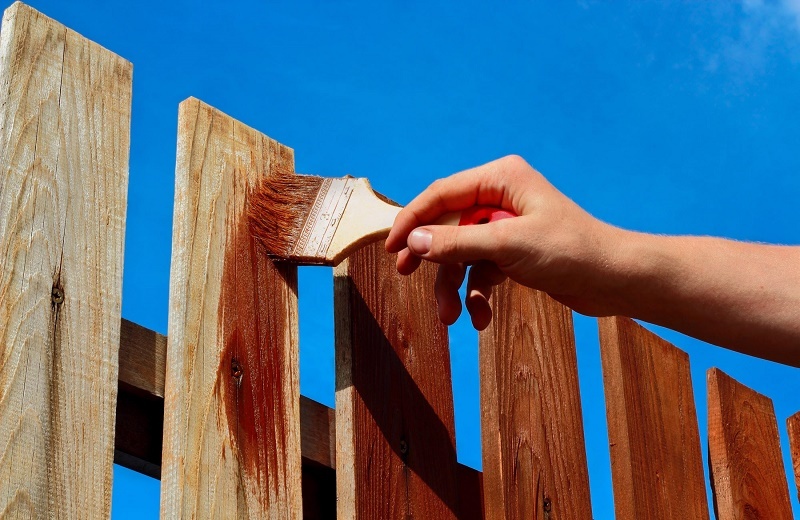 Whether iron or wood, these types of fences require that your paint is renewed regularly. 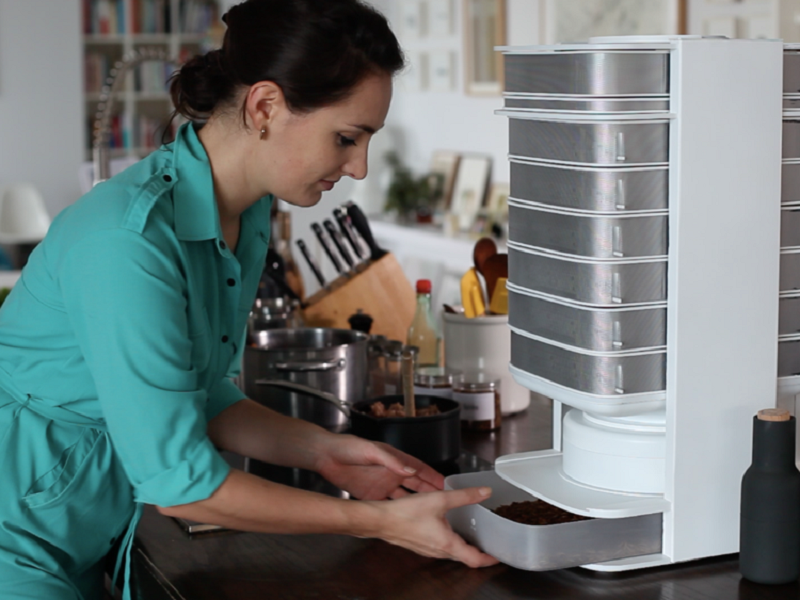 Either to prevent oxidation or prevent damage caused by insects. This is not the case with plastic fences, whose paint coat or external appearance is much more durable. This thanks to the chemicals that are used in them. Check the good condition and maybe tighten some joints; It is usually a necessary job when we have fences installed in the ground of our garden. Especially when they deal with what they assemble every considerable space. It is also necessary to check the joints if you have small children or a pet that constantly leans or hits the fence. However, this is not the case with metal ones. 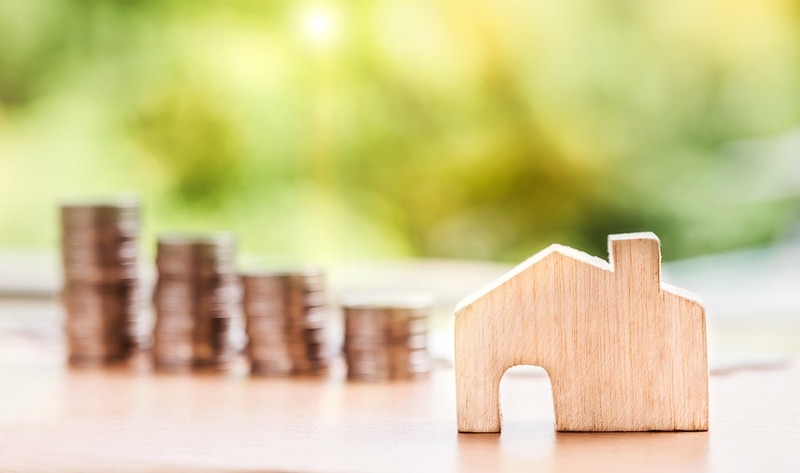 Especially those that are secured to a wall to delimit the property; If they are directly placed on the ground and inside the garden, the situation is different. 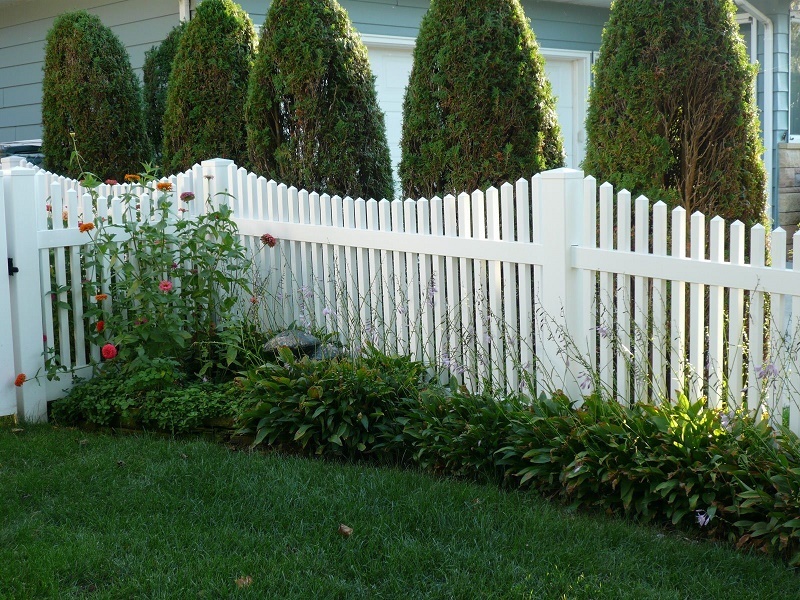 Decoration or landscaping issues constantly replace some fences and fences. 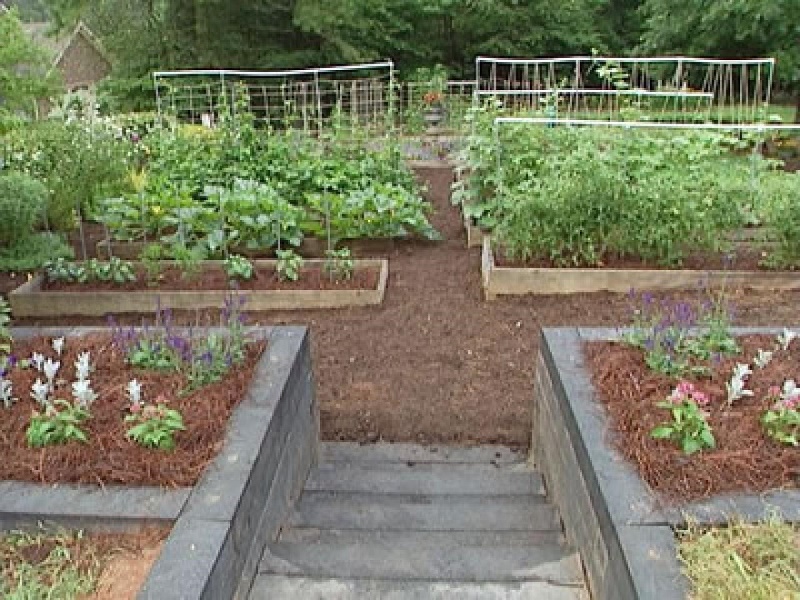 If you are the kind of person, who enjoys reorganizing your garden or the general appearance of your garden. 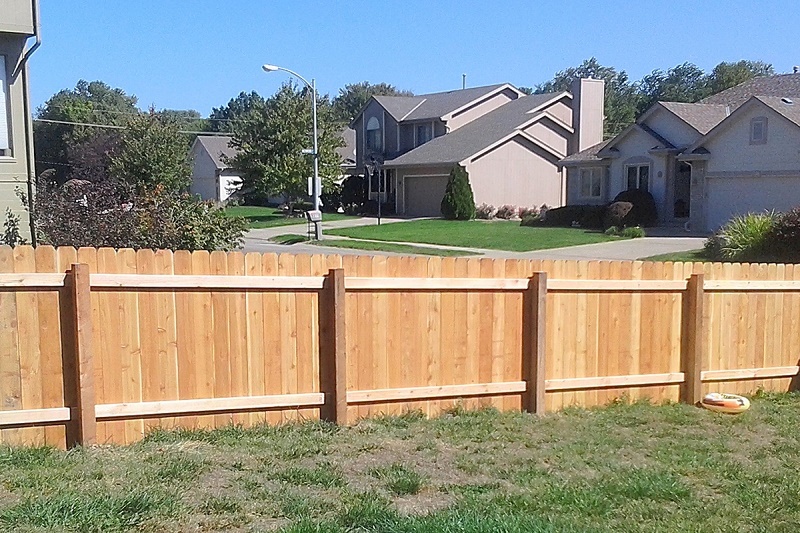 The best thing you can do is opt for fences that are easy to remove and; Many times, wood will be the best option. How to install your fence so that it will stand the test of time? Although the fences and fences installation kit comes with everything you’ll need; There are certain aspects of the trade that can only be learned through experience. That is precisely what we want to talk about here. These tricks can be useful if the conditions of your terrain apply to the examples that we will give; otherwise, you can ignore them. Do not try to make something more complicated, something that in itself is quite simple. The biggest fences are composed of two parts: a pica, which is the one that is stuck in the ground. And a column, which serves us to place the tables, sheets or cross mesh then. This type of stakes or pikes has always been made of unique solid pieces. However, some manufacturers have had a great idea. Some pikes now come hollow and with holes in the top that are not precisely for the screws. This is done to offer a base that has much more stability. Forget about installing the bases of your fence using the only land. You must use concrete or cement to ensure greater stability in the pike. Being a hollow piece, the concrete penetrates inside it; allowing air to escape through the holes. Use this type of stake, stake or base; if your fence project on land implies height. 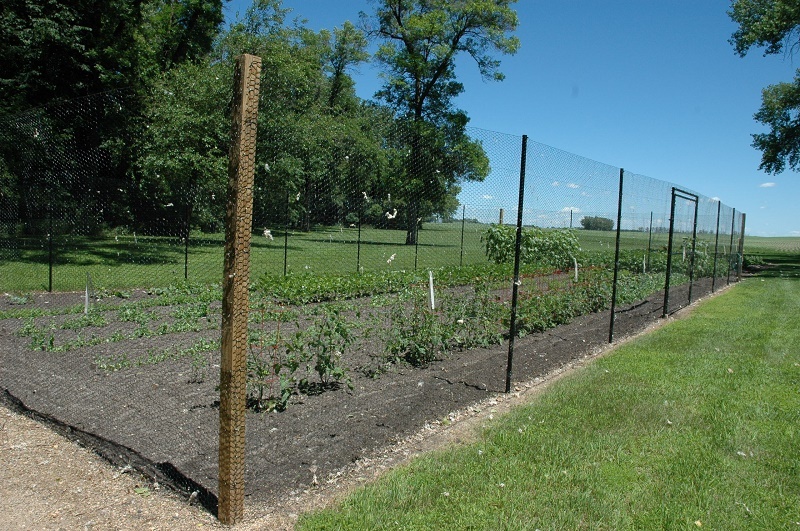 When you want to protect your plants from certain wild animals; The best technique is to apply mesh to your fence. This is seen a lot, particularly in the dwarf fences. However, the larger the holes implemented; Even if the animals do not pass through them, they can use them to climb. For that reason, place a mesh of really tiny holes; similar to a mosquito net. 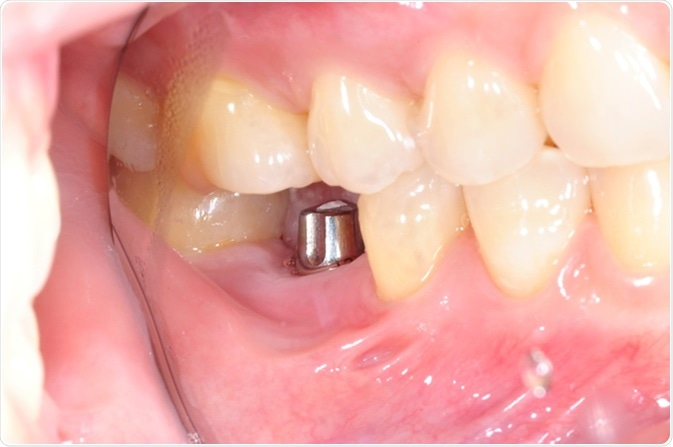 This will not only give your go a more solid appearance; but, on a practical level, it will be much more efficient. That way you will not have to change the mesh every so often. When you buy what is necessary to install the fence on the walls of your garden to get more privacy; Remember that there is always the possibility of being hit by balls. Those little blows, with the passage of time; They cause the fence to lose stability in its attachment points. To avoid this, when you turn to the expert who installs the fence; Make sure you are using special to tolerate the stress of seismic activity. Even if in your country there are not usually tremors; they will help you to avoid that your fence looks insecure and fragile when it begins to “dance” on the wall at the slightest touch. Do not use concrete or concrete! You do not have to limit yourself to using cement or concrete when installing your fence. Depending on the country in which you live, you may get a much cheaper material because of the low popularity it has. It’s about the Foam. One of the most used brands at the moment is Sika PostFix. The way to use it is very simple, although it requires additional work; but that surely will not take much time. At the time of opening the hole and installing the post, instead of placing the concrete; pour this product that is the same used in the construction to fill the walls of cement bricks at the time of insular. 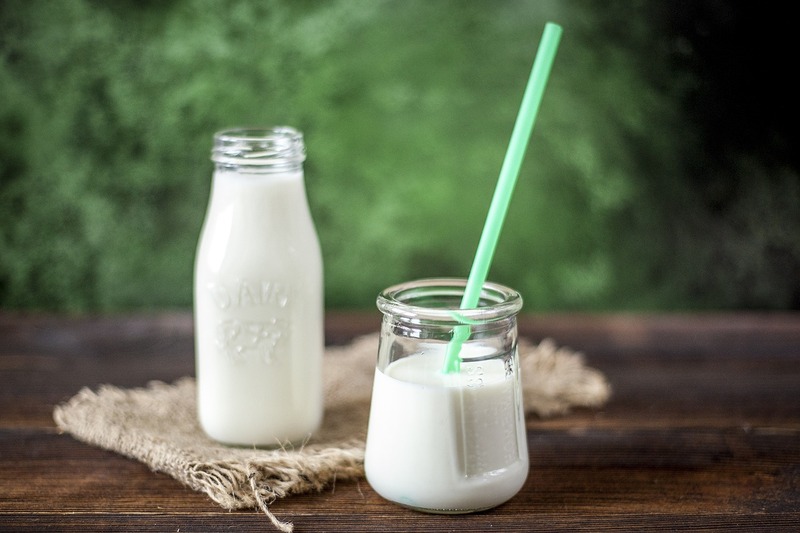 You will only need to add a cylinder around the post of your fence; Then pour the Foam mixture, and that’s it! Wait for it to dry and cover with dirt. You can save a significant amount of money and get an equally efficient finish. It’s just a different way of doing things. If you want acoustic insulation, use Brezal! When we look for the greatest possible privacy, we usually buy any additional that they want to sell us in the store. However, the most efficient and the most durable; It is not easy to get. 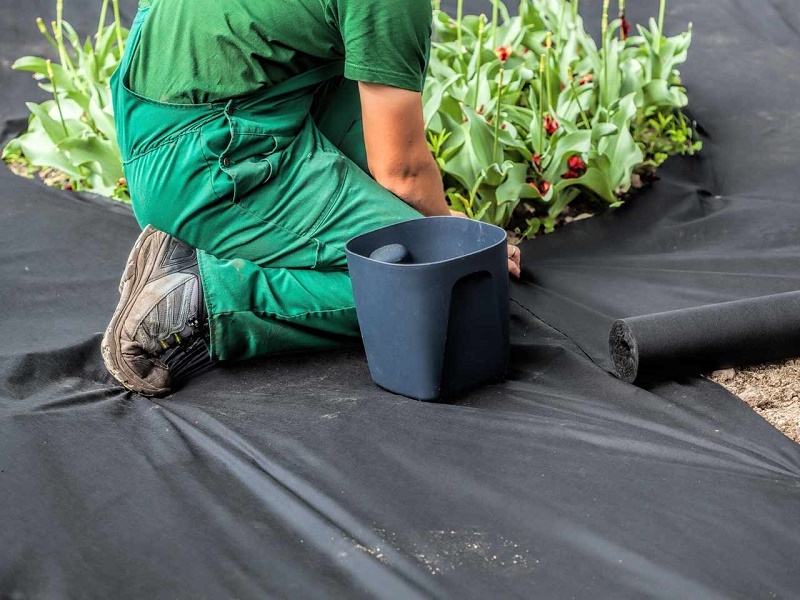 After much experience and to see how the optional materials that are added to the fences evolve; we have concluded that, for acoustic privacy, the best choice is heath. It is true that the cane gives a natural look, however; with the passage of time, the cane tends to decompose and become unhealthy. The heath offers great acoustic protection and lasts longer. Sure, you can apply windbreaks. They are more efficient, but they are not so aesthetic. We want to preserve a natural look but at the same time be durable. Finally, and to end our rain of advice that you must follow before buying billboards for gardens; We want to address the issue of aesthetics. We wanted to leave it to the end because, in our opinion; the functionality and durability of this element in our garden, should be a priority and be above appearances. But a good way to take advantage of this new structure in your garden is using its characteristics to improve the landscape. Here we tell you how. If night lighting has always been a problem, or if the position of the sun is not favorable. 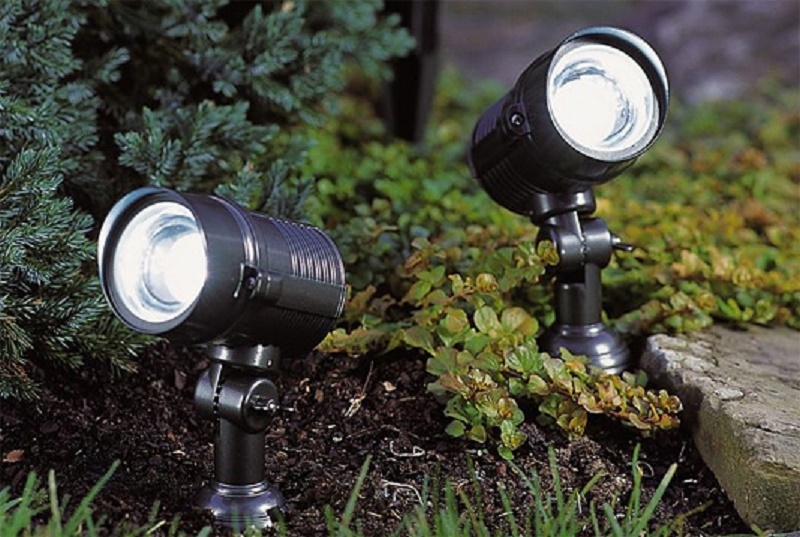 Place mirrors, LED lights and even ultraviolet light lamps; It can help you replicate the light inside your garden. Also, you can have a vertical garden with outdoor plants if you use ultraviolet light. Think about this possibility when you see different fence structure options. The wooden fences give us the possibility of placing numerous shelves or screwing pot holders. When we want to strengthen privacy and improve acoustics to have a quieter garden; The best we can do is take advantage of this new space to extend our green kingdom. To reinforce the unification of spaces, you can use the same style of metal fence that you applied on the wall of your garden to your planters that are located immediately below. You do not necessarily have to make an additional expense, in fact; You can use wood but aesthetically imitate the fence behind it. This sense of continuity creates an illusion where the end of your garden does not seem to be truly a final wall; which is great when you have a relatively small garden. The most obvious of all is that you use vines. 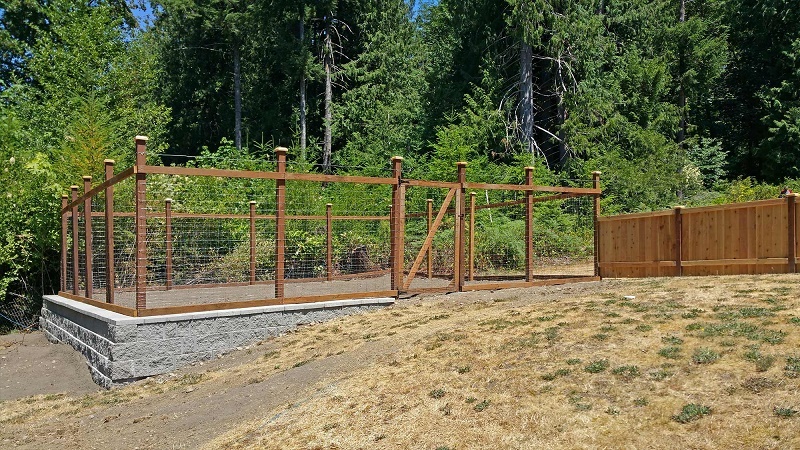 If you need a particular type of structure that is safe and offers privacy; The best option is a metal fence. But you do not have to resign yourself to an industrial appearance. Use vines to cover your garden green completely. Then, with more conservative elements; You can extend these green walls to form a labyrinth. It is not a job from one day to the next, but it will help you to spend more time in your garden without worrying about the insecurities that a less solid fence would have left you if you installed it.